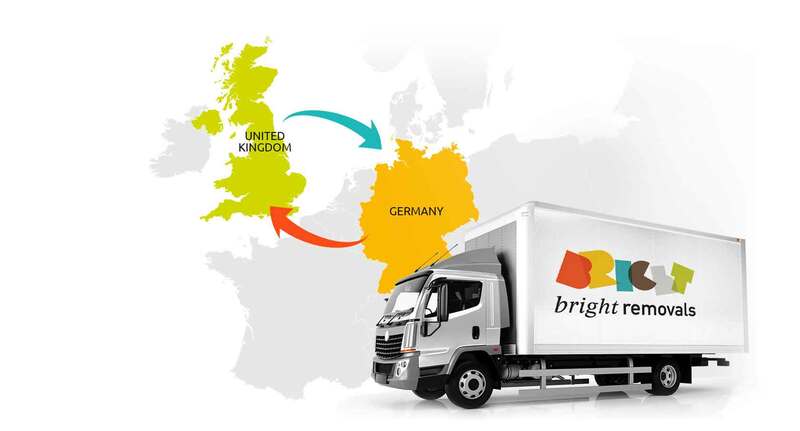 We are a specialist division of Bright Removals Ltd, running a weekly house removals service to Germany, as well as bespoke on demand services. 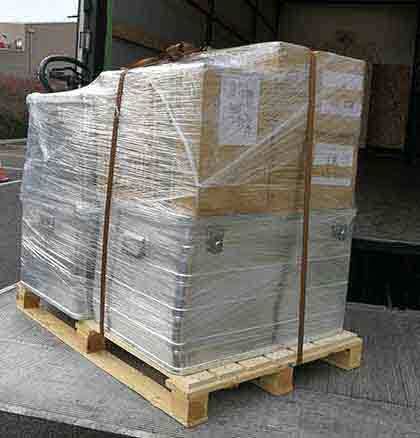 We have moved hundreds of happy customers both to and from Germany. Thanks to our experience and knowledge of the local relocation market, you will receive an excellent service end to end. We tailor a suitable removal solution to your needs; no job is too small or too big. We understand, that you want a removals company that treats every item like it was worth its weight in gold. A company that cares as much about the vase your Grandma left you as you do. We combine care with exceptional customer service which results in a first rate relocation experience for our customers. Every customer is precious to us, and we will do everything we can to take the stress out of your move. We are flexible, friendly and we really listen what you say to us. No matter whether you would like to move a couple of suitcases, a bike or a full 5 bedroom house; we will make it happen. Over the past 8 years, we have developed one of the most extensive contact networks across Germany and Great Britain of anyone in the industry. We know both countries like the back of our hand, as well as the providers that operate in them, allowing us to guide you towards reliable storage partners etc. and we can easily create a quality, affordable plan for your relocation between Germany and the United Kingdom. Our trucks and vans cover all parts of England, Scotland, Wales and Northern Ireland. At the other end we can move you to any destination in Germany, everywhere between North Sea, Baltic Sea and the Alps, as well as western borders with France to the east border with Czech Republic and Poland. With frequently journeys between Germany and the United Kingdom we are able to accommodate any load usually within a very tight timescale. Our quotes are free and there is no obligation to take them any further, no matter how far down the line you have gone with asking questions, planning etc. We know you'll use our relocation service once you're sure we are the right provider and we’ll happily spend as much time as we need to provide you with information to help support this. We take time and great care in estimating your move, making sure every aspect receives our signature level of attention to every detail. Once quoted, you won't be shocked by extra surcharges, taxes or fees. Unscrupulous firms quote very cheaply and then sneak in hidden costs, but with us you get a quote and it’s stuck to, to the letter. We put our money where our mouth is. Always. 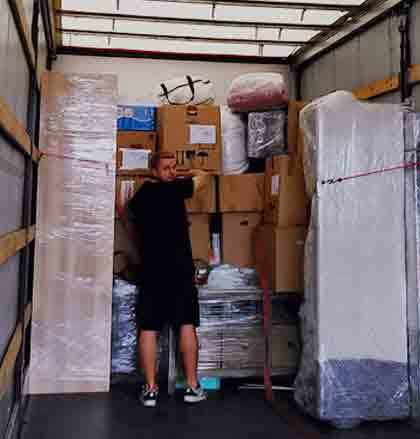 •	Moving of any type of boxes, crates, wardrobe boxes, carton boxes, plastic boxes, or other suitable packing containers that are used for your move between Germany and England, Scotland, Wales or Northern Ireland. •	We serve multinational professionals and academics, students and business removals We support the moves of soldiers and army removals to Germany including MOD removals. So do not hesitate to contact us, with any queries regarding relocation removals or relocation packages. It will be our pleasure to offer you relocation assistance, with our removal consultants ready to discuss your individual needs regarding relocation moving companies, and other elements of relocation abroad to Germany. It is free to talk to us, you can call our UK Freephone, or connect the German number if you are in Bavaria, Hessen, Niedersachsen, Rheinland-Pfalz, Saarland, Sachsen, Sachsen-Anhalt, Baden-Wuerttemberg, Schleswig-Holstein, Nordrhein-Westfalen, Thueringen, Berlin, Munich, Cologne, Dusseldorf, Hamburg or Stuttgart. Capitalise on our reputation as a trustworthy brand and become the preferred choice for all customers in the relocation sector. We deliver smooth and stress-free removals through best-in-sector service, efficient organisation and unrivalled expertise. Our specialist UK-Germany-Removals service is shaped by a set of values that guides us every step of the way. Our experience in moving families, individuals and businesses to Germany is second to none. Whatever your reason to relocate from England, Wales, Scotland or Ireland to Germany, whether it’s working, studying, marriage, children or army relocation, we have the ideal international relocation service for you. •	Whatever size of your household, property we can provide right size of the removal vehicle and extremely well trained consultants, packers, movers that will make your move to Germany stress free. •	We love challenges, so big jobs, awkward spaces and fragile goods from apartments, houses, sheds, garages, offices, cellars and attics are all right up our street. •	With us as your movers to Germany, whatever the destination Frankfurt, Berlin, Munich, Cologne, Stuttgart, Hanover, Hamburg you won't be disappointed. We have many relocation packages, which will make your move abroad smooth and easy. •	International relocation to Germany is what we specialise in, it’s a week in week out routine that only gets smoother and more polished with the practice the years have provided. 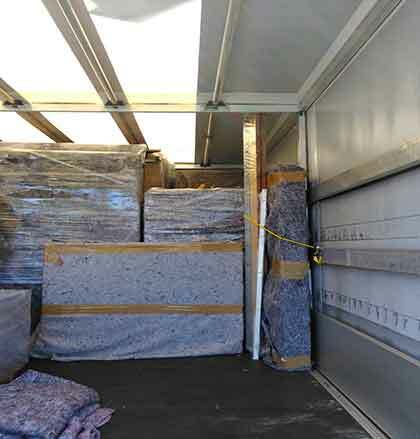 •	We cooperate with relocation and moving companies in Germany and England, Wales and Scotland so the moving and relocation of your furniture will always be performed by a specialist household and business removal business. Over the years we have learned that it is fairly easy to replace a vehicle or piece of equipment; however nothing can replace our valuable staff. We work hard, often day and night to make sure your moving experience is a happy one. Careful, helpful people are the key of our success story; we look after them so they can look after you. please click the button below. Please do not forget your referance number.